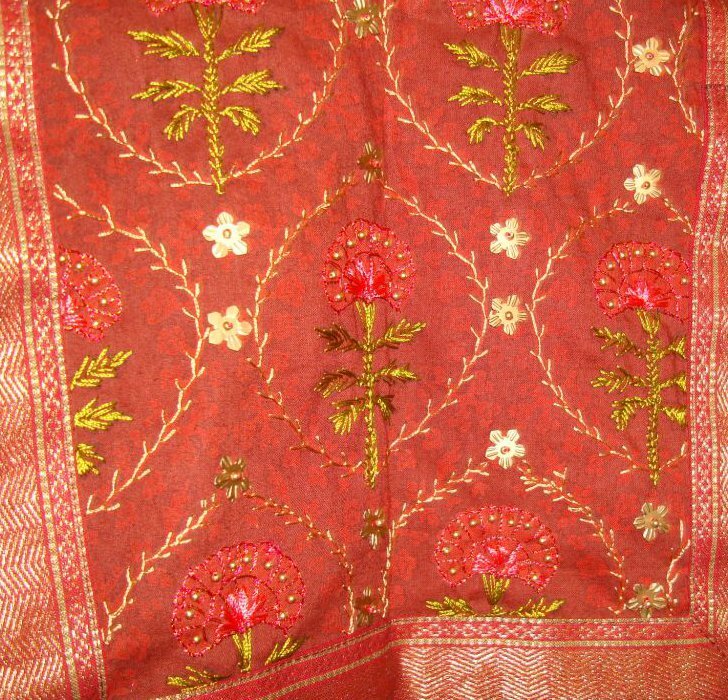 The last detail of the embroidery done on this printed maroon yoke, straight stitches were worked inside the floral outline. Small antique golden antique beads were placed on the floral embroidery, and flower shaped sequins with beads were also added on to this embroidered yoke. 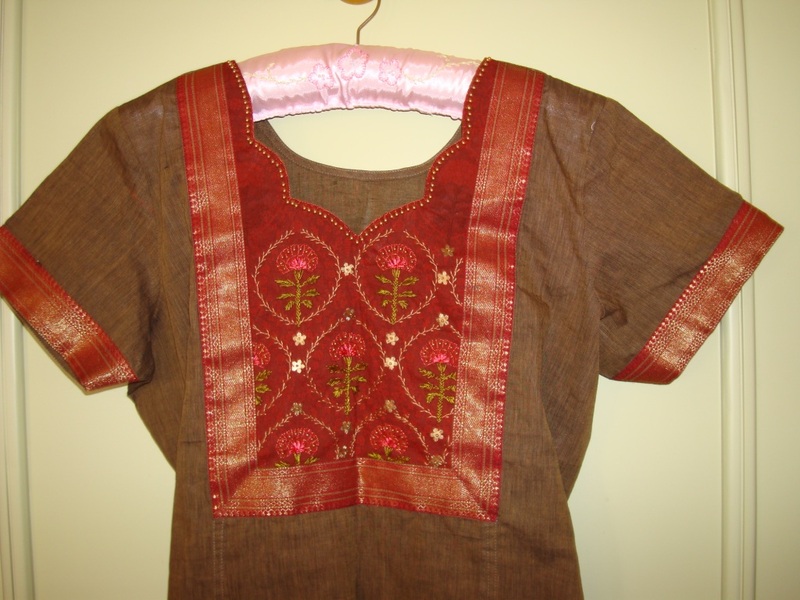 I have worn this tunic with plain maroon salwar, ideal wear for festive days. 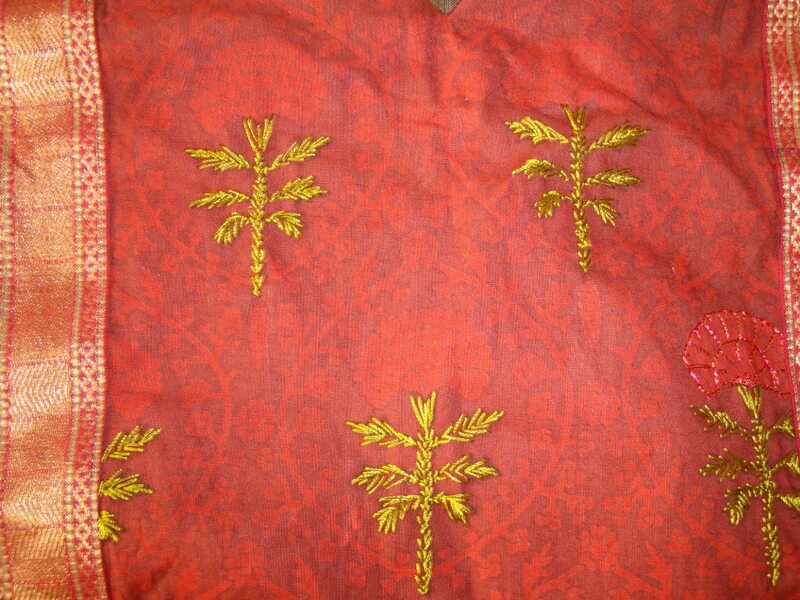 I was not very sure of embroidering this tunic, thought the borders attached to the tunic will be adequate , then after attaching this printed fabric, the embroidery had to be part of it. 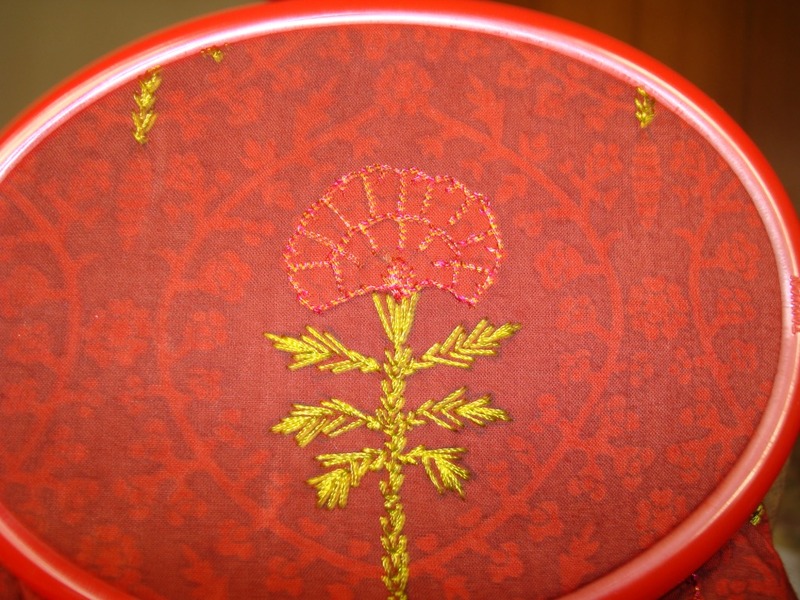 The flower pattern is outlined with metallic thread . 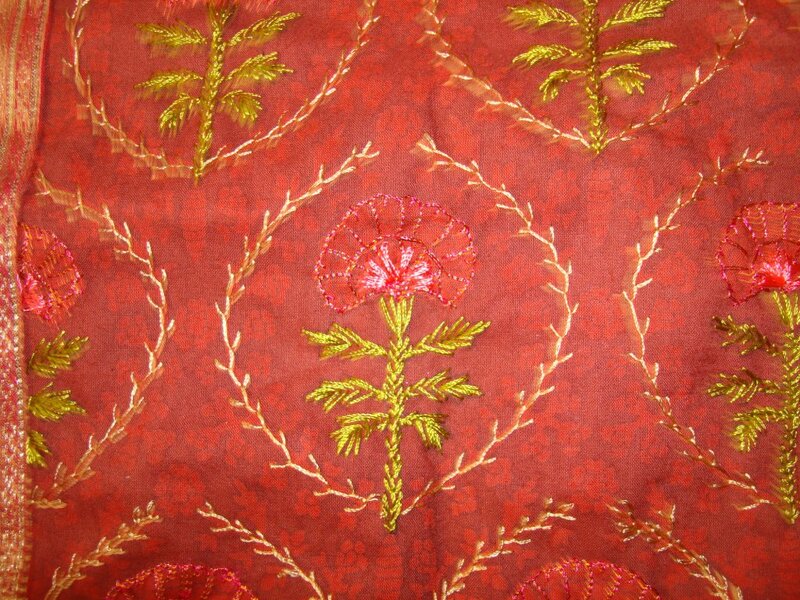 The outline of each pattern is worked in feather stitch in golden thread. More details and the completed tunic on my next post. 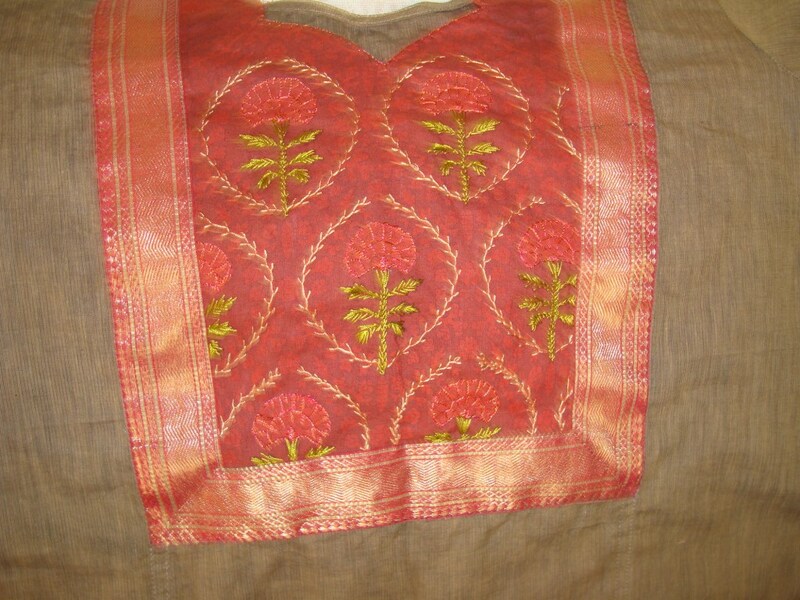 I had posted details of a printed maroon tunic with mangalagiri border here. This tunic was also sewn along with that, the printed fabric of that tunic is the yoke of this tunic. 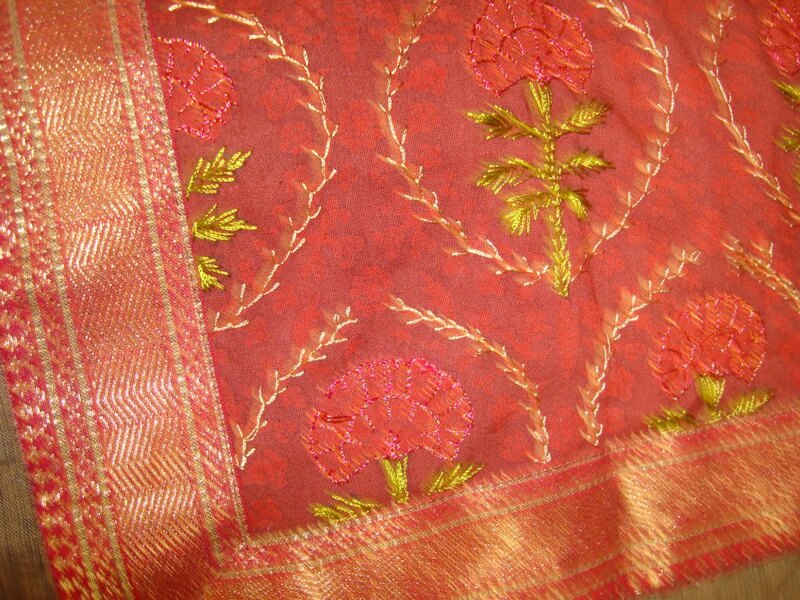 This is the yoke which was sewn on the tunic with zari border. 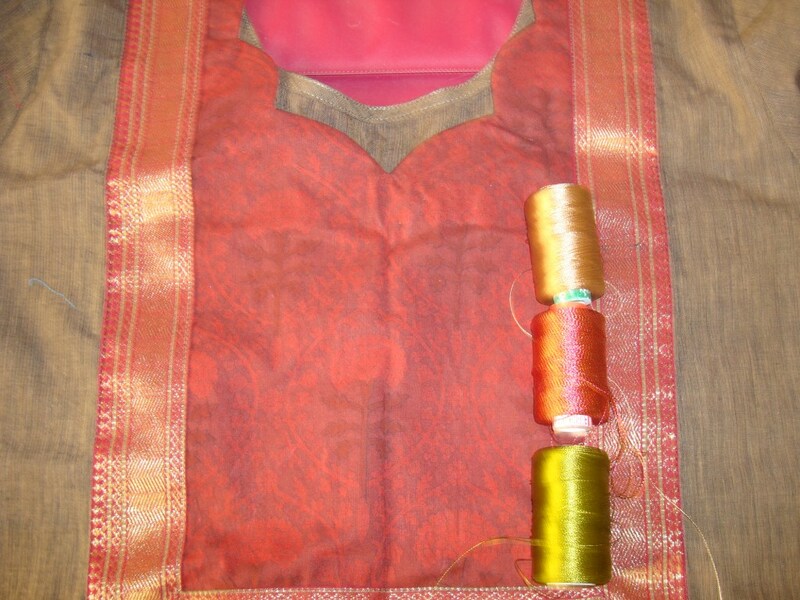 Silk and metallic threads were used for embroidery. No pattern was drawn , the print itself was the pattern to be embroidered, it started with fly stitches for the stem part. More details of this embroidery on the next post.